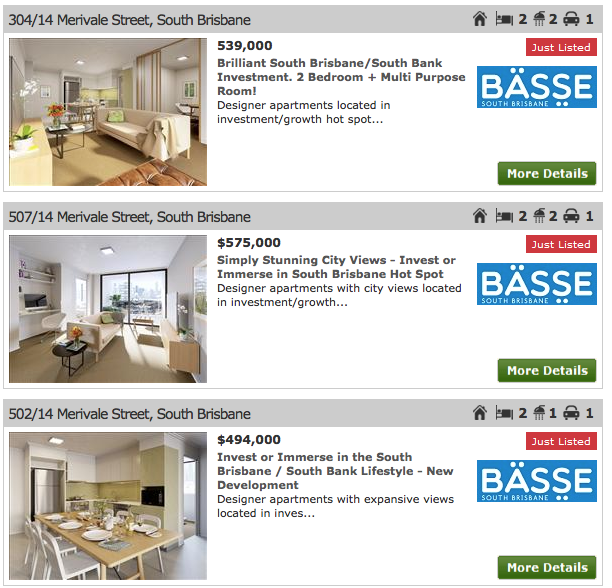 A new development in South Brisbane, Basse, is being sold off-the-plan. It is located at 14 Merivale Street. The complex appears to have 1 and 2 bedroom apartments only. The one bedroom apartments start at $339,000. A two bedroom apartment is advertised at $539,000. Buyers should take care -- this development is on a very busy road -- the off ramp for the Go-between Bridge.